Jo's work via Flotsam weaving is excellent and I have shared it here before as one of many artists who take inspiration from some specific aspect of the landscape. 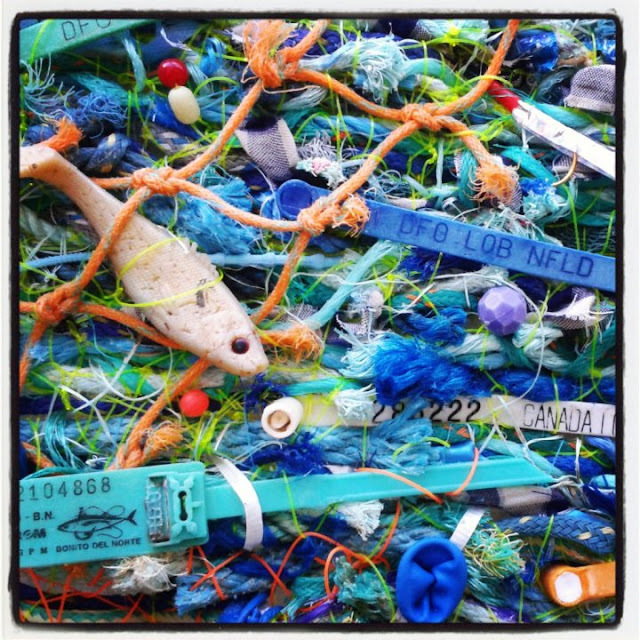 Jo works with found objects, including beachcombed objects and plastic. Read about her work on Atlas Obscura, which also has some awesome images of projects that she has completed. Her own website also contains more information on her work, which takes inspiration from the SW Coastlines in particular. A recent Moorlog entry was found on the coast between Weybourne and Sheringham in North Norfolk: an area I know well.